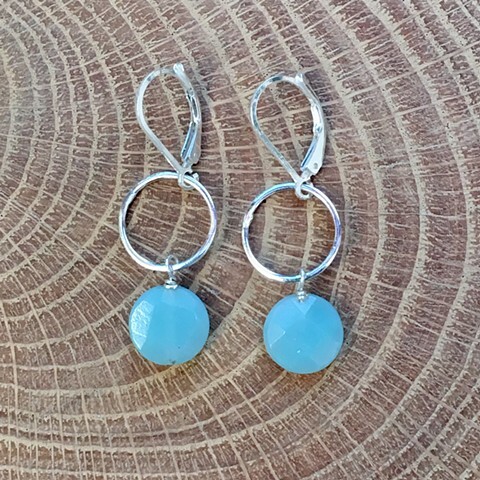 Soft blue faceted amazonite coin beads sit beneath sterling circles. Sterling lever back ear wire. Approx 1 1/4"